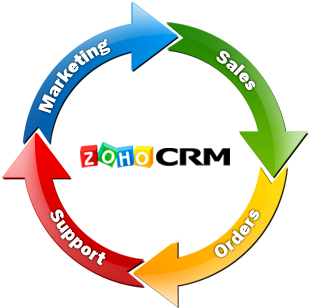 Cloud Solutions offers both technical suport and customisation services for Zoho CRM but also sound business advice. Understanding how best to adopt each Zoho CRM module into your business is key to a successful implementation. Cloud Solutions runs their business on the Cloud platform of Zoho CRM. This provides us with sales automation and information sharing across our organisation. The hardest part of each Zoho CRM project we start is defining the scope of work we will perform and deliver to our client. With no hardware to purchase or software to install, all that is required is to customise Zoho CRM to your company's business requirements. Below is a guideline to the tasks generally required for each Zoho CRM project we deliver.